24 Hour Desk, Fitness Room, Business Center, Meeting Room 20 People, Pet Friendly Hotel. Start your day off right with a Free Hot Breakfast Buffet. Extended Channels, HDTV, Plush Bedding, Ergonomic Chair and Desk, Hair Dryer, Mini Fridge, In Room Safe . Separate room with TV and Couch to relax and unwind. Welcome to our newly built Wingate by Wyndham Loveland hotel. 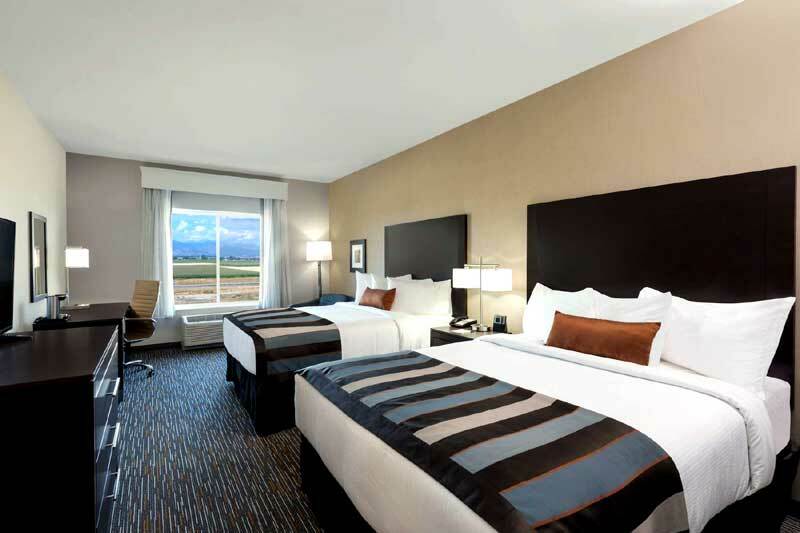 Well situated at the intersection of I-25 and Highway 34, our hotel offers proximity to Fort Collins, University of Northern Colorado, Colorado State University, and Estes Park – the gateway to Rocky Mountain National Park – as well as the Budweiser Events Center at The Ranch. 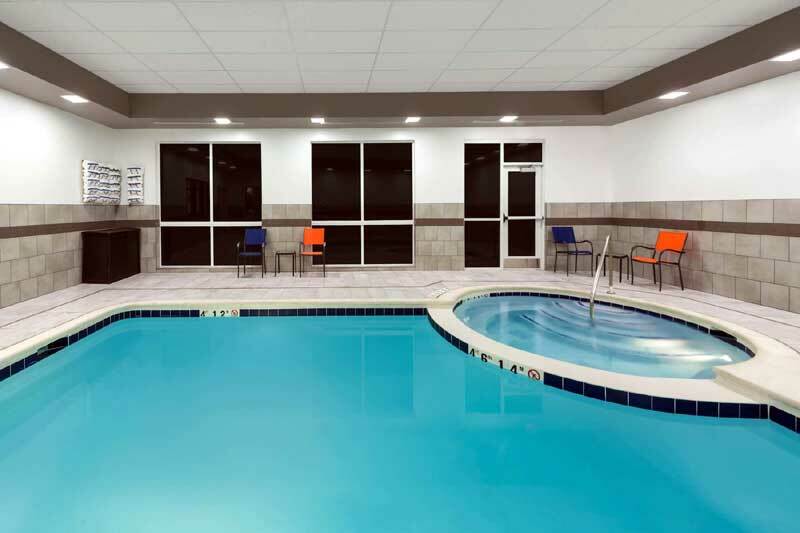 Our pet-friendly hotel boasts leisure facilities that include a fitness center, indoor pool and jetted hot tub, a 24-hour business center, meeting space for 20, free daily hot breakfast, free high-speed WiFi, and ample free parking. Overly spacious non-smoking guestrooms are well-equipped with plush bedding, ergonomic work station and HDTV, and larger suites are ideal for extended stays. Revel in easy access to outdoor activities and artistic pleasures near our hotel, including golf nearby at Olde Golf Course at Loveland, nature's many beauties at Rocky Mountain National Park, and performances at Budweiser Events Center at The Ranch. If you are in town to visit loved ones, our hotel is nearby several renowned medical facilities. With 336 square feet of event space, our hotel features 1 meeting room, which can be arranged to accommodate 20 conference guests or 20 banquet guests. Plan your next meeting or special event with us. We also arrange great rates for groups — large or small. Opening May 4, the 28th annual Governor’s Art Show and Sale - the largest fine art show to exclusively feature Colorado artists - will bring together 56 of the state’s most-talented artists and two Legacy Artists, for a month long-exhibit at the Loveland Museum Gallery. The art show has established itself as one of the top two art shows in the state, and among the many reasons Loveland is at the heart of the arts in Colorado. Candlelight Dinner Playhouse Oliver! Book, Lyrics and Music by Lionel Bart Candlelight is delighted to present a classic tale of Good versus Evil and triumph over adversity, Oliver! Class begins at 9:30 am, cost of the course is $10 per student payable in cash to the instructor at check-in. Do not bring any firearms or ammunition to class, all supplies will be provided. Activities : B o yd Lake State Park has something for everyone: boating, fishing, camping, picnicking, swimmi​ng, hiking, biking, and hunting. Attractions : Loveland Laser Tag Fun Center offers a 3-level laser tag arena, an 11-element indoor ropes course, a laser maze, a 23ft climbing wall, arcade games, and dodgeball. 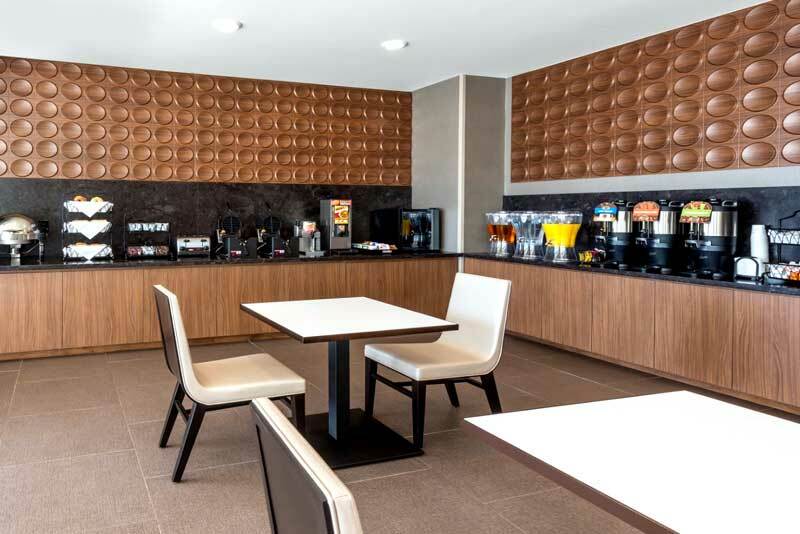 In between activities, visit our newly remodeled full cafe for a snack or refreshment. Budweiser Convention Center Since 2003, The Ranch Events Complex has been earning the reputation as one of the premier event and entertainment complexes in the region. With the ability to host anything from a board meeting to tens of thousands of music festival fans, the multi-purpose venues on the campus of The Ranch are not only known locally as a place for entertainment but is also a nationally recognized event destination. Downtown : Nestled at the base of the Rocky Mountains, Fort Collins offers exciting recreational opportunities, unique cultural offerings, and is a regional center for employment and shopping. Events : Candlelight Dinner Playhouse is a professional theatre dedicated to preserving and cultivating the tradition of American Musical Theatre while providing an extraordinary entertainment experience of unparalleled quality. Candlelight is proud to offer Broadway musicals showcasing the best of regional talent accented with an elegant dining experience, events spaces to host a private party and theatre education programs. Golf : It's our history, our view and our beautiful course that Golf Digest writers voted as the most unusual named golf course in the United States. This unique Par 71, 18 hole public course will challenge your game with rolling hills, water features and demanding greens. Spend the day with us and enjoy breath-taking views of the Rocky Mountains and the Front Range of Colorado. Government : The need for the Johnstown Downtown Improvements Master Plan arose out of the Johnstown Area Comprehensive Plan update that was adopted in 2006. Hospitals : At Northern Colorado Rehabilitation Hospital, we provide specialized inpatient and outpatient rehabilitative services to our patients, serving Colorado, Wyoming, and Western Nebraska . We see patients who often are recovering from disabilities caused by injuries, illnesses, or chronic medical conditions. Shopping : Covering more than 25 square miles and serving more than 65,000 residents, Loveland does not lack for places to shop or eat. While the ones listed below are the main retail areas in the city limits, you can find stores just about anywhere. All along Eisenhower Boulevard (Highway 34 east-west), Highway 287 (north-south including Lincoln/Cleveland/Garfield/Buchanan), the intersection of 29th Street and Garfield, and the intersection at 14th St SW and Taft, shopping opportunities abound. University : UNC offers more than 200 undergraduate, graduate, extended campus and online programs , designed to help you pursue your goals and find your path with expert faculty, outstanding resources and hands-on educational experiences. Wineries : At Sweet Heart Winery, good wine is about more than a complex bouquet and a smooth finish. For us, it's a matter of the heart. Our process is one of passion, patience, and persistence—combining care and devotion with artistry and skill. From grape to barrel, we strive to create wines that reflect all of the love and dedication we put into them—wines that linger on the palate and in the memory, making times spent with family, friends, and loved ones that much sweeter. Welcome to our great hotel in Johnstown Colorado with affordable rates and cheap budget discount lodging. Wingate by Wyndham Loveland welcomes you to our budget hotel in Johnstown Colorado. Wingate by Wyndham Loveland will provide you excellent customer service with great amenities in comparison to all Hotels and Motels in Johnstown Colorado. Please visit us on your next stay in Johnstown Colorado and let us provide you with 4 star hospitality for 2 to 3 star budget rates. 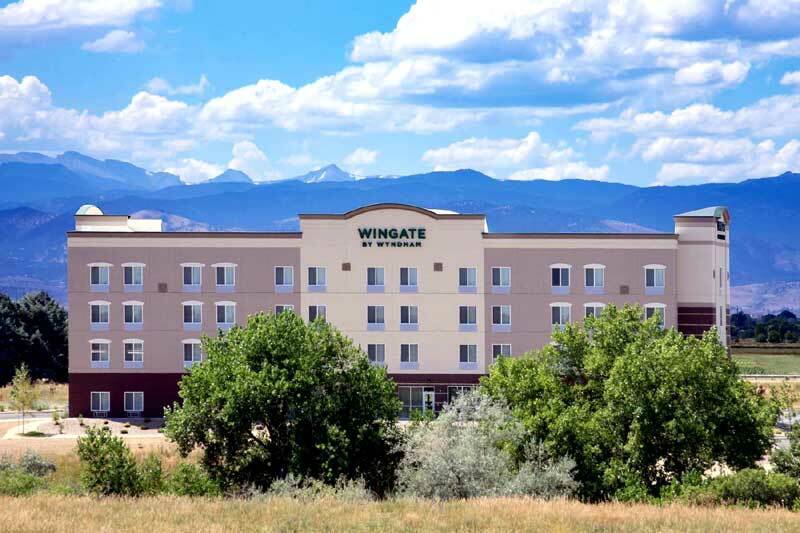 Wingate by Wyndham Loveland has been providing lodging and accommodations in Johnstown Colorado for several years and looks forward to providing our valued customer and business traveler with the best service in Johnstown Colorado for Hotels and Motels in our local area. © 2018 Wingate by Wyndham Loveland. All rights reserved.